No run today – ugggg – BUT it was one of those days, so I did make sure to take care of myself. With Christmas shopping (and, yes, I decided to buy presents for myself this year! ), eating treats, baking cookies and drinking red wine! 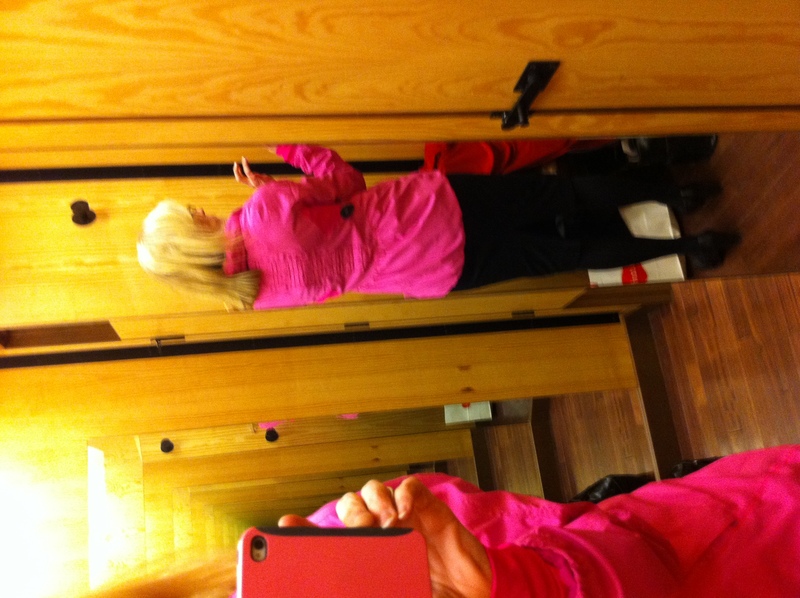 Ultra cute BRIGHT pink lulu hustle run jacket. SO warm and comfy and cute! Looks great with my skirt and heels, huh? And, yes, that may be a Hot Mama bag that you see in the background with more Christmas gifts for myself. Lulu jacket from front, at home. It almost made me want to go for a run, but I had baking and drinking to do. One rolo for the cookie, one rolo for Cindi. Repeat. These are seriously the most delicious cookies ever! I am addicted to them. I will not tell you how many I have eaten today, or this holiday season. 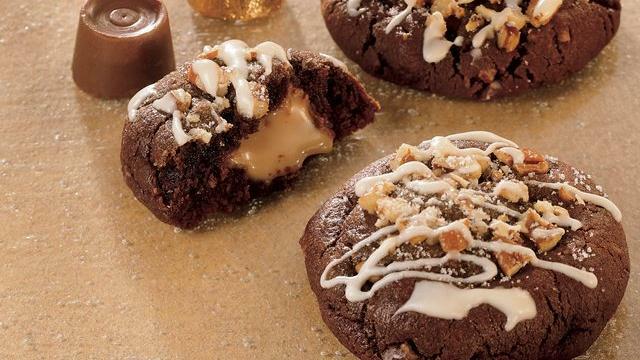 Recipe for the caramel-filled chocolate cookies here. Ha – my abs were so sore yesterday, I swear it threw my gait off during the first mile of my run. Maybe easing into those bad boys would have been a better idea! I definitely need to keep it up though! Love the new jacket! And those cookies look fabulous. But I am resisting clicking on the recipe linke – trying to behave over the holidays…. LOVE that jacket (sadly i don’t have it)! my lulu addiction is getting out of control. i always rationalize it by thinking about how many hours we spend in running clothes per week! Exactly! It’s a good investment, if you base it on hours spent! those cookies look AMAZING cindi! 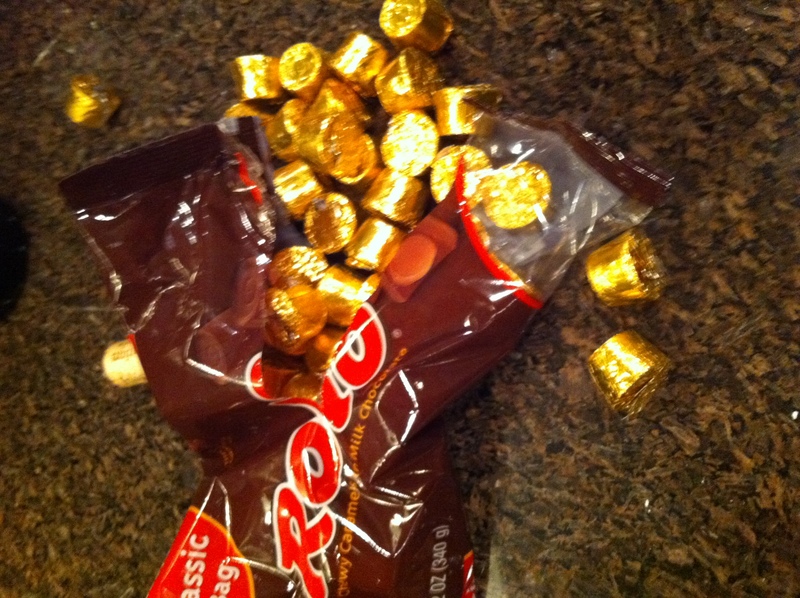 i love rolos – haven’t had them in ages! 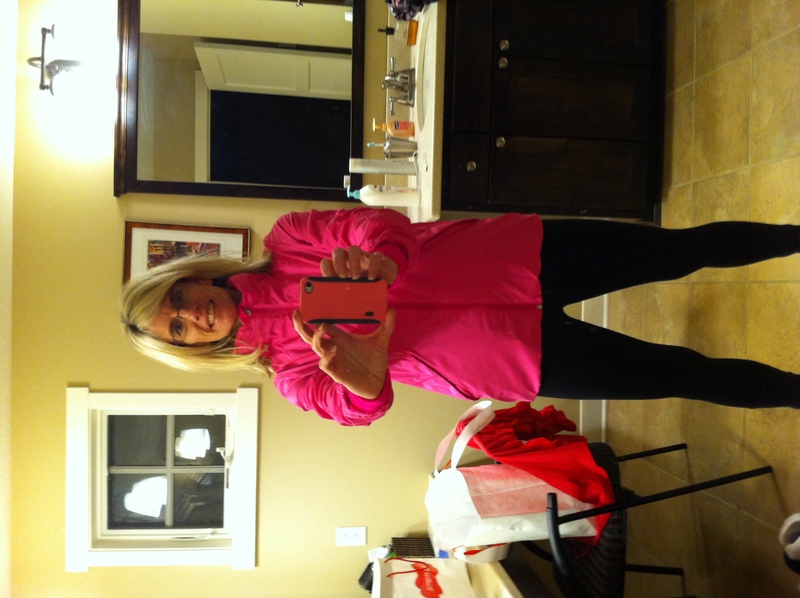 Yes, Claire, you definitely need to buy winter running clothes from Lulu! The jacket I just bought is almost TOO warm!